I have an addiction to lip balms. 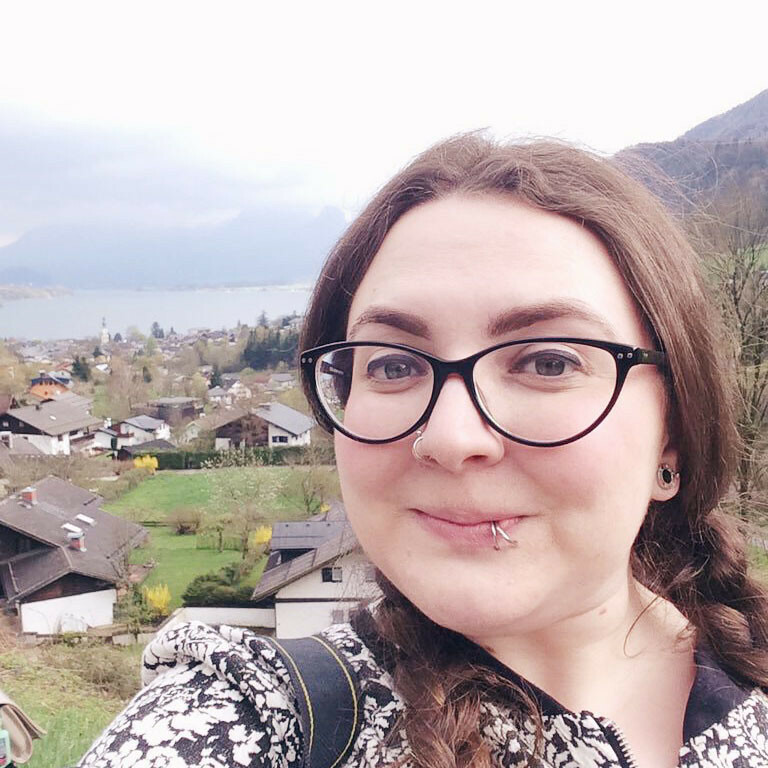 My dermatillomania means I have a tendency to pick at my lips when they're chapped, so I need to keep them nice and soft. Right now I have 6 lip balms in current use- One in the living room, one in each of my bags, one in my bedroom... One anywhere that it might be needed. 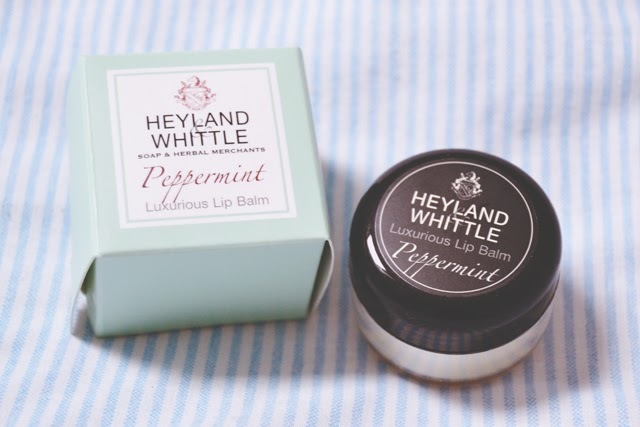 So when I went to Winchester Christmas Market last month and saw a vase filled with beautifully boxed up Heyland & Whittle lip balms, I was drawn like a moth to the flame. There were three flavours- Peppermint, honey and vanilla. I tend to love minty scents and flavours, so there was no competition really. 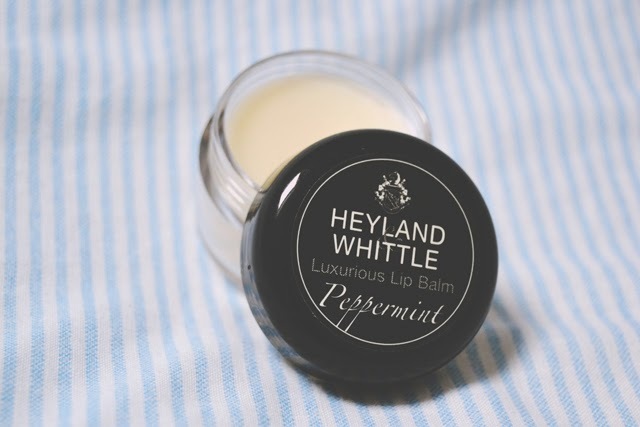 The Peppermint Luxurious Lip Balm comes in a 15g pot made of pretty sturdy plastic. It has a screw lid that goes on pretty tightly, so I'm not worried about it popping open in my bag. I know some people don't like pots but it doesn't bother me at all. The peppermint taste is amazing! It tastes just like candy canes, rather than the vaguely minty tastes you usually get with lip products. It also makes my lips really tingly which feels nice. The consistency is smooth and quite thick but not greasy, and it gives a moisturising feel that lasts for ages. Although it's £8, pretty blooming expensive for a lipbalm, I absolutely love it! I definitely think I'll be repurchasing! Let me know what you think if you do get a pot! This sounds lovely and the packaging is so pretty! Yep, I think this will last forever! I have a problem picking scaly lips too! I have learned that its best to prevent the scales in the first place. I make a concoction of coconut oil and sugar ( Heavy on the sugar ) and rub it on my lips every now and then to exfoliate and oh boy its heaven! You should try it! Super easy, healthy and inexpensive!